If official figures on crime are about anything - then they are about public confidence that the police are doing their job. But the Home Office is now facing a huge row and damage to its credibility after admitting a major mistake in the way some police forces have counted some serious violence. To make matters worse, this comes amid an ongoing three-way battle between the government, opposition and sections of the press over whether or not the streets of Britain are safe. For the past year ministers have trumpeted figures that show that crime is down, violence is down and your risk of being a victim is the lowest since modern records began. Today they insist that those three cornerstones of public confidence remain in place. But one very important figure on serious violence has been completely miscounted. And nobody knows how long some forces have been getting it wrong. The story comes down to nationally-set standards for recording crime, designed to ensure that all police forces in England and Wales class and count incidents in exactly the same way. One of the most important recorded crimes is grievous bodily harm (GBH) because it is the most serious violence short of attempted murder. Now, there is GBH - and GBH with intent to cause serious injury. And it's these incidents of GBH with intent which have been undercounted by some forces. Some forces have been counting some attacks, where the victim wasn't actually injured, as a lesser offence, despite the fact that the assailant intended to cause very serious harm. Take this very real example given to police forces. A woman in a nightclub provokes another woman by pouring a drink on her. She then picks up a bottle, deliberately breaks it on the table and goes for the victim's face. Her intention is quite clear - to severely injure the woman's face with broken glass. Luckily, the victim escapes with a cut to the bridge of her nose and other minor injuries. Now, to onlookers, she's come out of it relatively unscathed - and the police officer later types the crime types into the computer as just another Saturday night minor punch-up. But in reality, the attacker's plan to inflict very serious injury should have been recognised and recorded in the crime records. Officials asked 18 forces for clarifications and 13 have so far performed a recount. Their figures have contributed to most of the 22% jump in most serious violent crimes when compared with April to June 2007. It's about 1,000 serious incidents which were hidden elsewhere in the figures - but it's also just a "best estimate". The miscounting has also affected knife crime with figures showing a rise of 29% in GBH with intent, involving a "sharp instrument", compared with the same period of 2007. You can see this dramatic effect in the table at the bottom of the story. But does this serious error in one particularly crime affect all the figures? No, insist the statisticians and ministers. What's more, police chiefs say it's purely a technical problem with how some forces have recorded violence, rather than how they have investigated incidents and pursued attackers. They say that all recorded crime is still going down and overall violence in April to June 2008 was down 7% on the same period of last year. The British Crime Survey, the authoritative rolling study of experiences rather than police records, says your chance of being a victim is at a historically low level. Ministers say they have "every confidence" in crime statistics and argue that by making this mistake plain now, they are being as transparent as possible to ensure the public feel the same way. But behind the scenes there have been significant and complex debates about how to class violent crimes. A major review in 2006 warned ministers the situation was "nonsensical" and in danger of misleading the public. Crucially, we don't know how long this specific mistake has been going on - or exactly how many forces were involved. Some violence may not have been correctly counted for up to a decade. 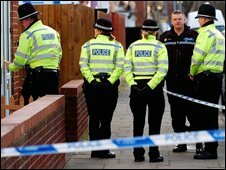 Professor Marian Fitzgerald, a criminologist and former Home Office consultant, says serious violent crime has been rising since the early 1990s and the "chickens have come home to roost". She accuses ministers of over-reliance on the British Crime Survey and says they cannot hide these rises in technical changes. The great irony for the Home Office is that they have revealed this error a year after seeking to change the terms of public debate. Ministers realised they had a very serious credibility gap over crime figures, partly caused by politicians of all sides quoting selectively from complex data while some journalists merrily looked for the grimmest stories they could find. The new plan was to leave publication and explanation of crime stats to the experts - the people paid to impartially pull the data together, free of political interference. It was a move to improve public confidence - and this admission has been made in that spirit. But the error, like the rows over immigration figures before it, gets to the heart of government's big problem on crime: A public being told one thing, reading another in the papers - and sometimes experiencing an altogether different scene on the streets where they live.